The small circular dibbi placed in the centre of the tiny rectangular tray is sure to attract anyone and everyone. 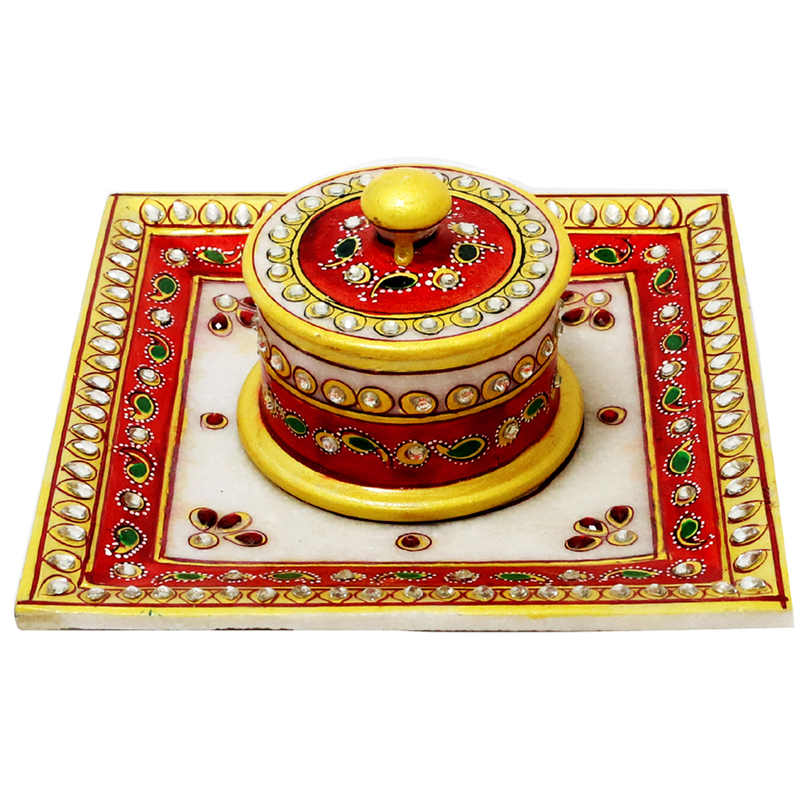 If it is kept in Read More..the drawing area, it will surely be praised for its beautiful meenakari work and the vibrant red color. The dibbi is adorned with a peacock face which further makes it more interesting. Only red and yellow color are used to beautify this product and give life to it. Show Less..